Rice stripe virus (RSV) causes dramatic losses in rice production worldwide. In this study, two monoclonal antibodies (MAbs) 16E6 and 11C1 against RSV and a colloidal gold-based immunochromatographic strip were developed for specific, sensitive, and rapid detection of RSV in rice plant and planthopper samples. The MAb 16E6 was conjugated with colloidal gold and the MAb 11C1 was coated on the test line of the nitrocellulose membrane of the test strip. The specificity of the test strip was confirmed by a positive reaction to RSV-infected rice plants and small brown planthopper (SBPH), and negative reactions to five other rice viruses, healthy rice plants, four other vectors of five rice viruses, and non-viruliferous SBPH. 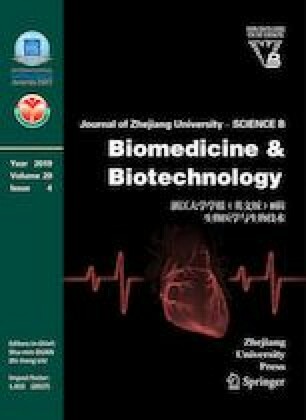 Sensitivity analyses showed that the test strip could detect the virus in RSV-infected rice plant tissue crude extracts diluted to 1:20480 (w/v, g/mL), and in individual viruliferous SBPH homogenate diluted to 1:2560 (individual SPBH/µL). The validity of the developed strip was further confirmed by tests using field-collected rice and SBPH samples. This newly developed test strip is a low-cost, fast, and easy-to-use tool for on-site detection of RSV infection during field epidemiological studies and paddy field surveys, and thus can benefit decision-making for RSV management in the field. We are grateful to Dr. Xin-shun DING (Samuel Roberts Noble Foundation [retired], Ardmore, USA) for his valuable comments and manuscript edits.